If anyone tells you that EE can’t be funny, you send ’em my way! 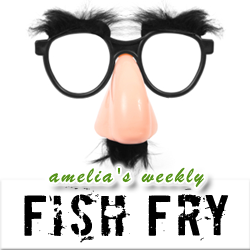 In this week’s Fish Fry, I interview Chris Turman, one of the funniest engineers in the business, about how the culture at Lattice Semiconductor has allowed him the freedom to have fun and make people laugh about FPGAs. Yes, really. Also this week, I check out the new pico-projector from Texas Instruments and Brookstone and report on why it may be fantastic and problematic at the same time.